Finally finished all my christmas shopping and got to do one of my favourite things. Wrapping them all. I love wrapping presents, always have, especially if I know it's a good gift. 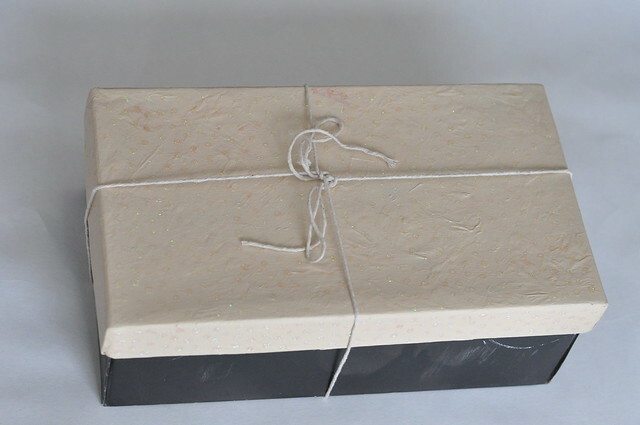 When I was younger I used to decorate brown parcel paper with glitter stars and potato printed christmas trees. I did think about decorating brown parcel paper again this year but I had lots of packaging, that I thought was pretty, just lying around. I hold onto decent paper bags and boxes just because I think I will need them one day. 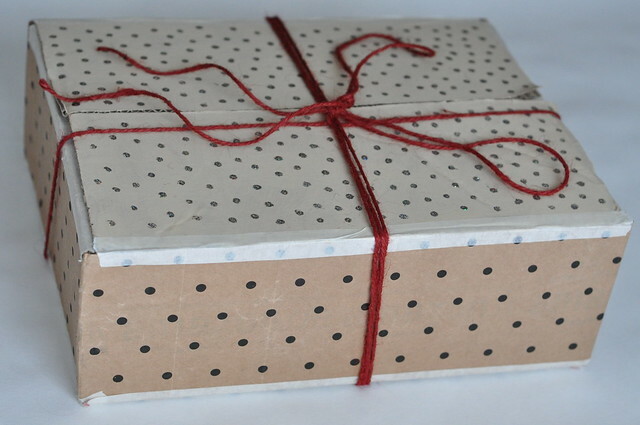 I wrapped a box in a dotty paper bag and painted it, as well as painting a shoe box. Cut up a Topshop bag and used it like wrapping paper. 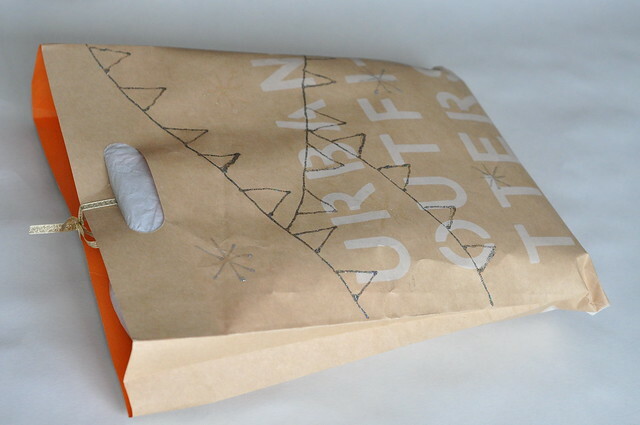 I didn't do anything to the Urban Outfitters bag and just used it like a gift bag, I love the orange inside. Of course I decorated each one with glitter to make it feel more Christmassy. 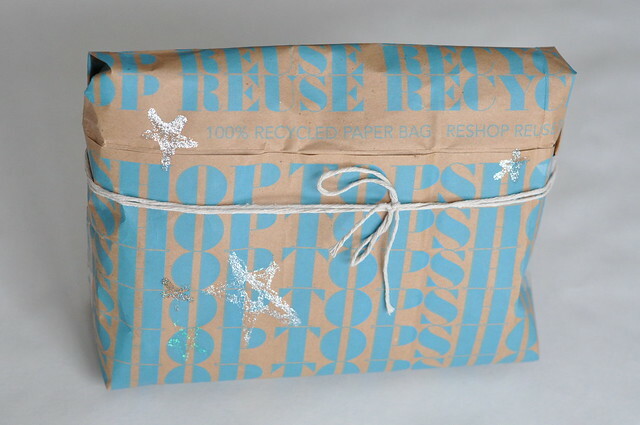 My favourite is the Topshop bag wrapped gift, because of the blue print and also because it says 'reuse' and 'recycle'. Very fitting.